I live in Medway, MA and Kevin and his team from Heritage just completed a project at my house. They put on a new roof and vinyl siding. I can't say enough positive things about the experience from beginning to end. I am proud when I pull in my driveway. I recently decided to put my house on the market. I felt a new roof would help with the sale. After researching several contractors, I choose Heritage. My new roof was installed within a couple of weeks of my decision. Hard to say a roof is beautiful, but it is! Kevin was a joy to work with. Professional, knowledgeable, communicative, competitively priced and prompt. His crew completed the project in one day, including taking away all the demolition material from the old roof. Kevin even came the next day to pick up little bits of paper and used a magnet to make sure there were no stray nails. My home sold on the first day it was listed for over asking price. I'm sure the great new roof was key! The Heritage crew was outstanding. They did an excellent job installing sidings and gutters on our colonial style home. Being a do it your-selfer I was impressed by how the crew was meticulous as they installed the siding and all the wrapping around the windows and other trim. Their price was competitive and we definitely got our money's worth. I would recommend Heritage without any reservations at all. Sam came to us for an estimate to re-roof his cape-style home that he bought in July 2015. While we were doing the estimate he asked us about our siding products as well as our thoughts on a deck. 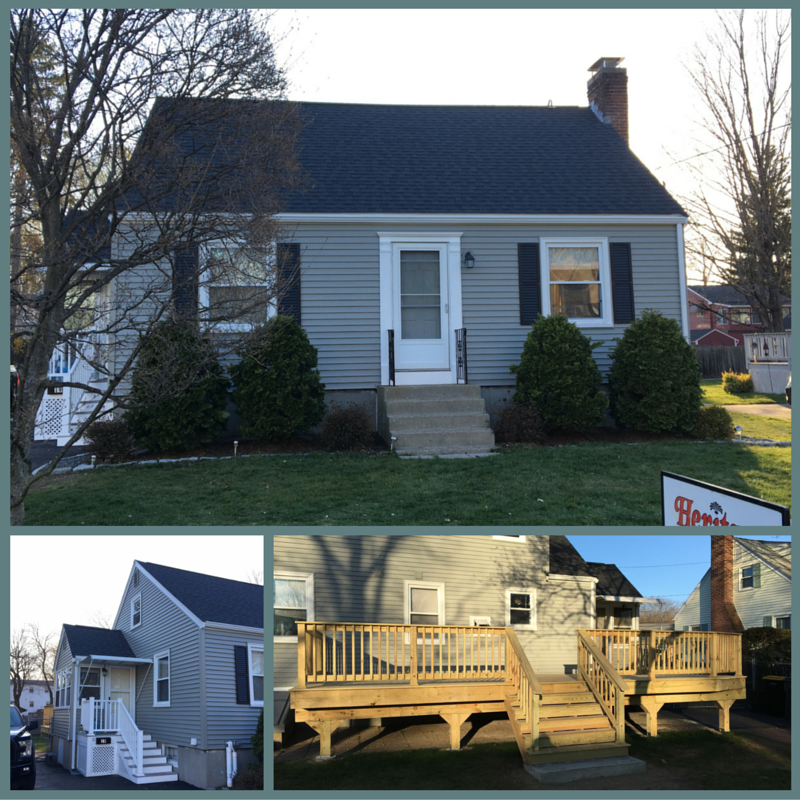 In less than a month we were able to give Sam a new Certainteed Landmark Shingle roof, replace the aluminum siding on his house with Mastic Vinyl Siding, and a beautiful 30x12 pressure-treated deck to complement his backyard.